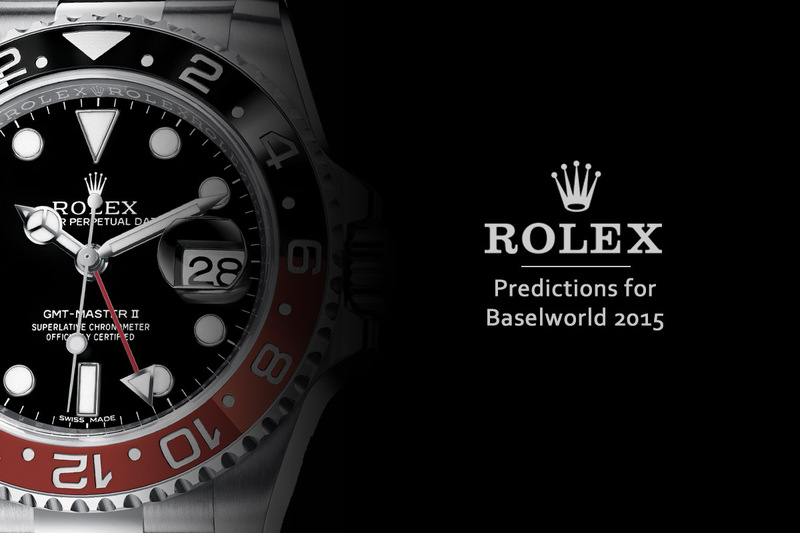 Yesterday, we already told you about the Rolex 2015 Novelties, but this was for the sports watches. We also showed you how ceramic bezels might look on a Rolex Daytona and what could be the future editions of the Rolex GMT Master II, with a Coke bezel insert or a Root Beer design. Now we have to move to the dress watches. Last year, Rolex introduced a new collection of Cellini watches and this year there is something special due for the iconic Datejust. 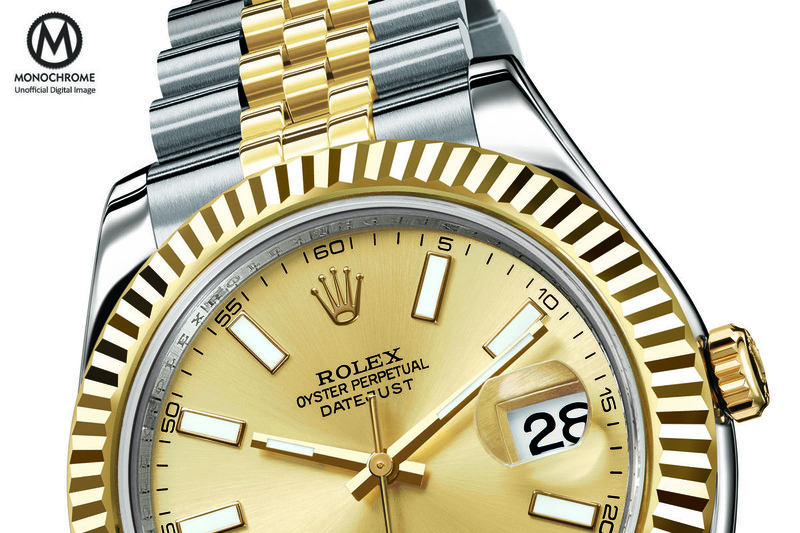 Just like we did in 2014, here are our predictions for the Rolex 2015 Novelties, the dress watches we want to see from Rolex at Baselworld 2015. 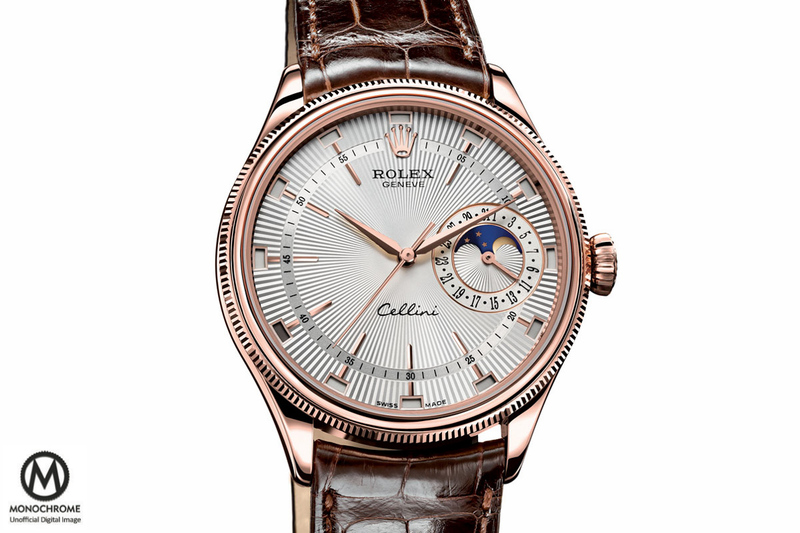 The Cellini range had always been a sort of ugly duckling amongst the Rolex collection. We never had any attraction for these odd, not very elegant dress watches, with a very poor link with the rest of the watches manufactured by the Crown. 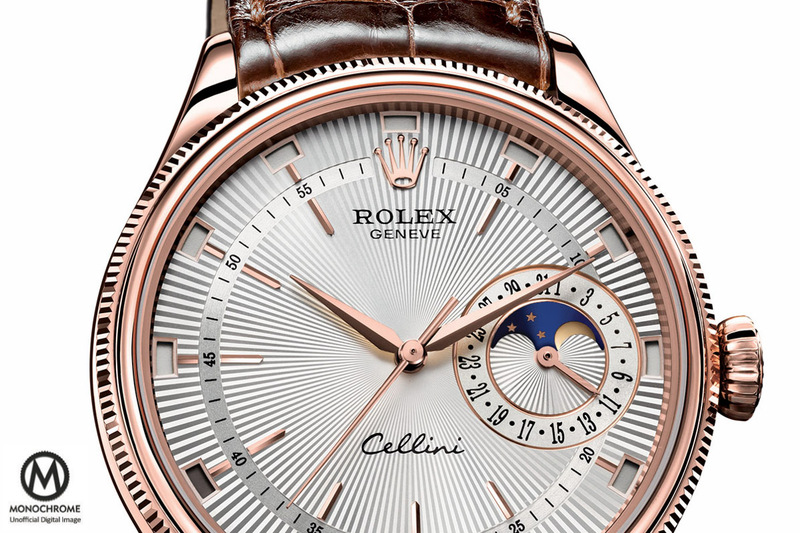 This was true until last year, when Rolex introduced a truly inspired collection of Cellini watches, with a round case, a finely fluted bezel, guilloché dials and interesting complications – a time-only edition, a date edition and a dual-time edition. Nevertheless, the Cellini collection, for want of a better expression, are simple watches and even if Rolex is not known for creating extremely advanced watches (such as a perpetual calendar or tourbillon), they have a movement that could easily fit a dress watch, with an intelligent annual calendar mechanism, that is already powering the Rolex Sky-Dweller. So for the Baselworld 2015 collection, we imagined a Rolex Cellini Annual Calendar, using the same twelve windows to indicate the month and the date sub-dial of the actual Rolex Cellini Date. It will keep the same 39mm case and the same fluted bezel. What we would like to see though is a moon-phase indicator, a quite useless but poetic complication, that could complement the elegance of the guilloché dial. We discreetly inserted it into the date sub-dial at 3. Compared to the Sky-Dweller, we removed the second time zone indicator. 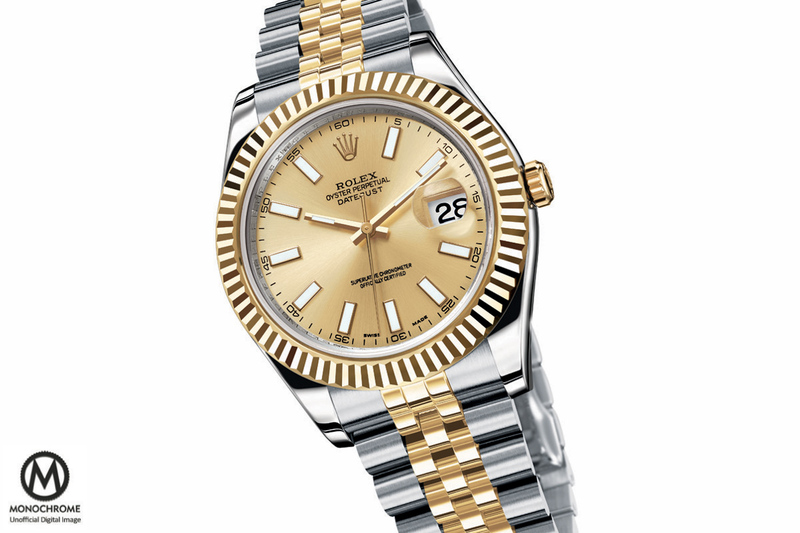 This watch would be an interesting novelty from Rolex that could please collectors demanding for complications. The price of such a watch would be expected around 27.000 Euros. 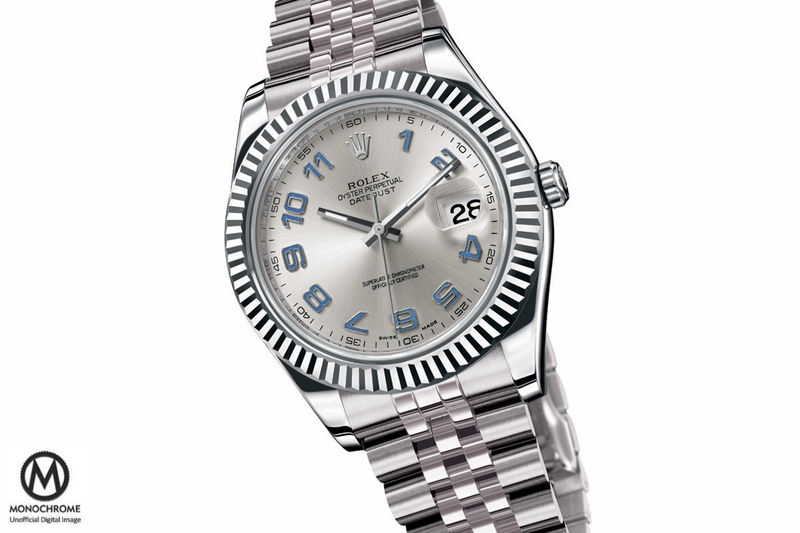 The Rolex Datejust is an icon, certainly the most iconic dress watch from Rolex. 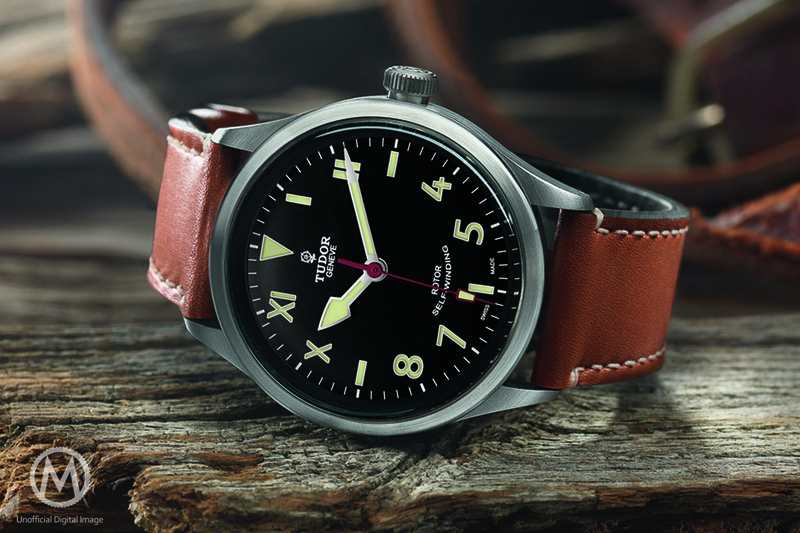 This watch was created in 1945, meaning that this year it will celebrate its 70th anniversary – or jubilee as the industry like to call it. So we’ve simply imagined the comeback of the iconic Jubilee bracelets on the large Datejust II, with its 41mm case. Using the exact same specifications, dials and bezels, we’re just adding a choice between the modern (and maybe too sporty) Oyster bracelet and the vintage-inspired but full of charm Jubilee bracelets. It means that you’ll be able to fit such a bracelet on the stainless steel edition (with the flat polished bezel), on the tow-tone version (with its fluted bezel in yellow gold) or on the white gold version (with blue Roman numerals and also a fluted bezel). 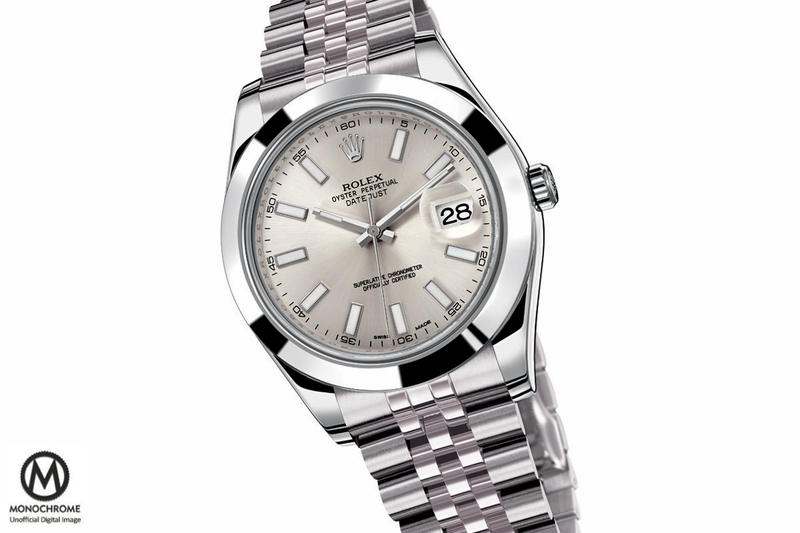 This will bring this timeless elegance to the Rolex Datejust II that the Oyster bracelet can not offer. Furthermore, Rolex now knows how to craft good bracelets and stretching won’t be an issue anymore – not like on the old Jubilee bracelets. 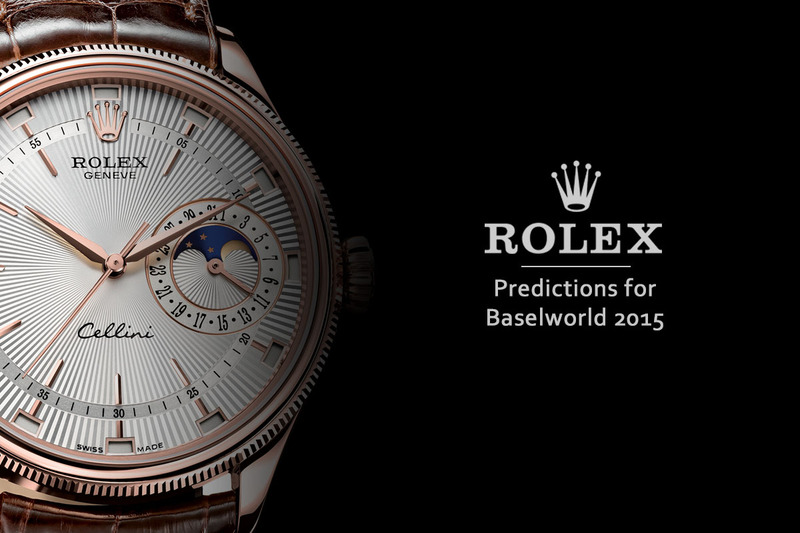 Don’t forget that these are only our predictions for the Rolex 2015 Novelties. 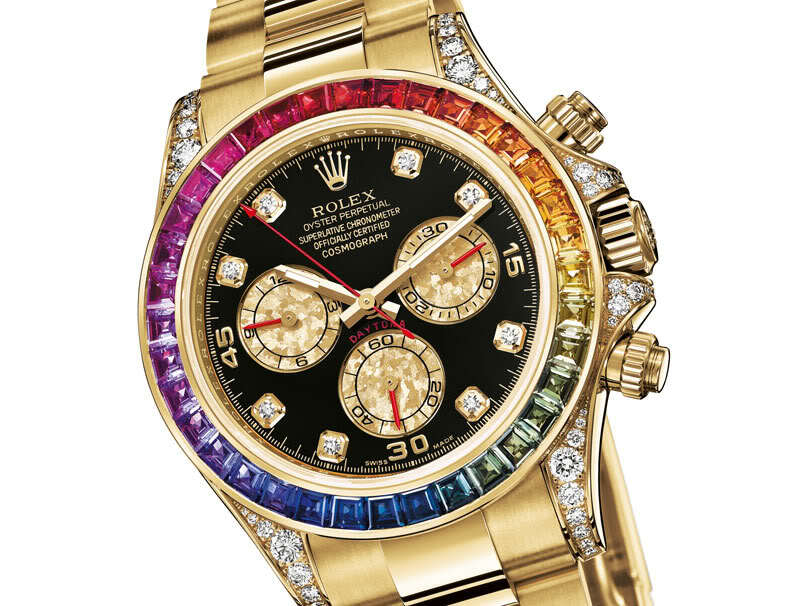 Rolex could (will) certainly come with other watches that no one would be able to imagine. However, tell us you think about these novelties? 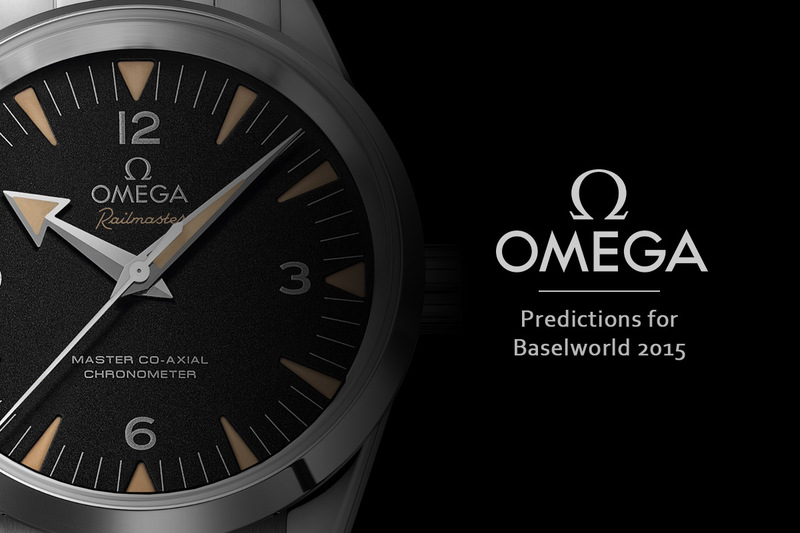 You, as our readers and watch enthusiasts, certainly have an opinion that we would like to hear. Feel free to give us our thoughts by using the comment-box below. 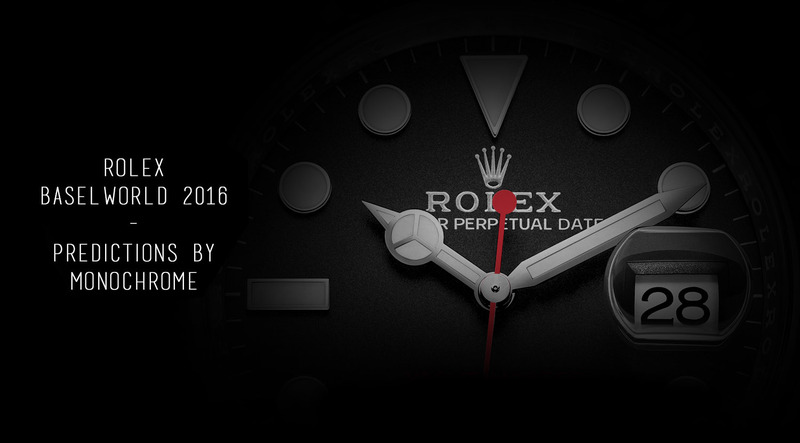 Baselworld 2015 will open its doors Thursday 19th March and we already booked a meeting this day with Rolex to immediately share with you the Rolex 2015 new watches. Stay tuned on Monochrome for our live report.